Liability concerns are a major expense and motivator for many industries. That’s why Superman costumes come with warnings that “the cape does not enable the wearer to fly”, Zippo cautions users not to ignite the lighter in your face, and irons are sold with tags advising against ironing clothes while they’re being worn. But for general aviation, this sort of thing is dragging the lot of us down as surely as a cement block tossed into the murky waters of the East River. At that time, conventional wisdom held that the E-AB (Experimental/Amateur-Built) sector was relatively immune from this insanity since, from a legal standpoint, the builder was considered the manufacturer of the airplane. Individual homebuilders don’t have anywhere near the assets or insurance protection of a corporate entity like Textron or Cirrus, and therefore make a less appealing target. Sadly, that seems to be changing. 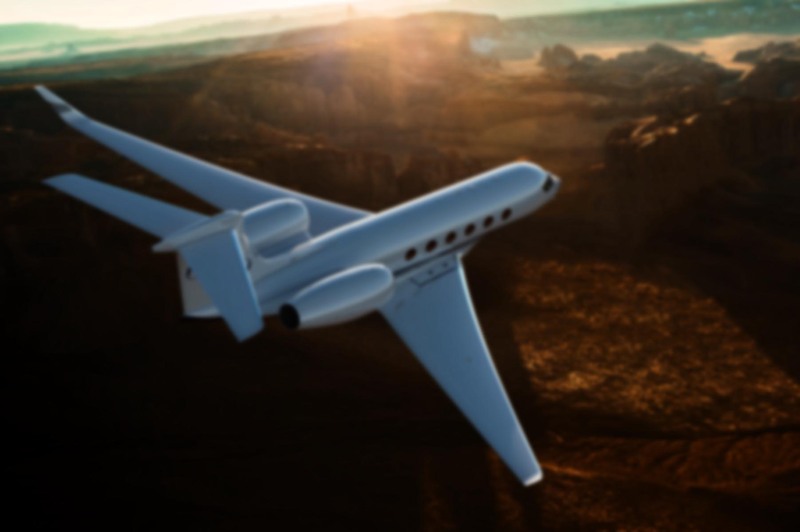 A few weeks ago, a $35 million lawsuit was filed against Van’s Aircraft, the firm which brought kit building to the masses and whose designs are almost single-handedly keeping light GA manufacturing alive in the United States. There are nearly 10,000 of them flying, and these days, the Van’s army of builders crank out about as many completed airplanes each year as Cessna, Piper, Mooney, Cirrus, and Diamond — combined. This is almost sadder than seeing the airplane destroyed in an accident. At least an accident is, you know, an accident, not an intentional, premeditated act which obliterates something so precious that the very same person once spent years of spare time and tens of thousands of dollars crafting it. How much effort went into this airplane? And how bad must the liability risk have been to lead him to crush it like a stale cigarette? Talk to a homebuilder about their aircraft and you’ll hear them speak the way parents do about a child. Don’t get me wrong; I don’t feel bad for the owner. It was his airplane, and therefore his to do with as he pleased. I suppose “experimental” would rightfully include the full life of the aircraft, right down to the method of disposal, whether sold or scrapped or parted out. This guy is not the first one to choose The Road Less Traveled for his former pride-and-joy. 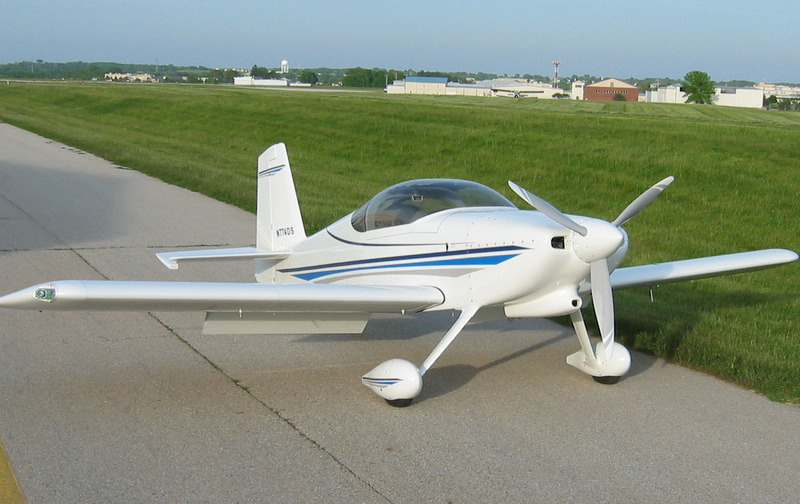 This RV-7 is not only a homebuilt aircraft, but an airplane of beauty and performance which exceeds any comparable offering from a professional factory. No, the ones I really feel sorry for are the kids. You know, the youngins who could have learned about aircraft construction from an up-close-and-personal encounter with this bird? The ones who benefit from the kindness of people who want to give back to an industry which has been so good to them. Or the A&P students who could have worked on it while learning their craft at a local college. I feel for the museum which missed out on adding a fine airplane to their collection. I feel for the builder who could have used the parts from that RV-8 to get/keep their own dream in the air. I feel for the EAA chapter which could have adopted that RV-8 and introduced thousands of fresh-faced Americans to the miracle of flying via the Young Eagles program. That’s who I’m thinking about. The builder could probably have garnered $80,000 or more from selling that plane on the open market. Clearly he didn’t need the money. The fact that he destroyed it indicates that his own net worth was sufficient to worry about bloodsucking, ambulance-chasing attorneys. But it’s safe to assume he would rather have seen it used to advance and preserve the art, science and lifestyle we call “general aviation”. It could have made all the difference to so many deserving and desiring individuals among the up-and-coming generation of pilots! Instead, our legal system ensured that it was reduced to $16.90 worth of Coke cans. That’s the real tragedy. Lawsuits, liability and insurance are sucking the life blood out of aviation…and life itself. When we can become millionaires for spilling a cup of hot McDonald’s coffee on our laps, well, the sky’s the limit, I suppose. Sadly, I witnessed a similar legal destruction firsthand, when Hurricane Hugo hit our little piece of paradise in St. Croix. I was flying for the Virgin Islands Seaplane Shuttle, one of the last airlines to fly the gorgeous Grumman Mallard amphibs. When it came time to evacuate the approaching hurricane, mysteriously all but 3 planes were “airworthy.” That left six behind, grounded for random minor mechanical issues, to fend for themselves. Needless to say, when we returned, we found a graveyard of formerly gorgeous Mallards, nothing but twisted metal. To this day, I question whether they might have been deliberately left behind, to collect on insurance and close the airline down. No way! You got to fly the Grumman Mallard? That’s so cool! And yeah, almost criminal to allow those flying boats to be destroyed by the storm. I know they require tremendous maintenance when operated in sea water, and it might have been a purely financial decision, but it still feels wrong — not to mention the probable insurance fraud. Out here in Socal, we had Catalina Airlines and Trans Catalina, which operated The Goose and Mallard amphibious between the island and the mainland. I missed my calling, I tell ya! Actually, I enjoy implying that I flew the Mallard, it was such a magnificent machine! But, alas, I actually flew their two land-based Twin Otters. I agree, Ron. To me, one of the epitomes of this aviation adventure is the lovely amphibs, a la the Pan Am Clipper! I suspect that this happens more than we realize. If I remember correctly revered aviation author Richard Collins had his P210 destroyed. Which really shocked me at the time but now that I’m a little older, I think I can understand. To me it’s a very personal multifaceted decision that obviously provides peace of mind for some. Certainly a sad commentary. Collins’ P210 was the first thing I thought of when I saw this video. If I recall correctly though, the Centurion was parted out rather than simply crushed. I could be wrong about that. After reading about all the troubles he had with the airplane over the years, I think he saw the airplane as more worn-out than anything else, so his decision made a bit more sense. Kinda makes you wonder what the Wilbur and Orville would have thought about all this, doesn’t it? Of course, they spent years in litigation after achieving controllable, heavier-than-air powered flight… so maybe this would seem less foreign than we imagine. Your mention of “aiming higher” reminded me of the U.S. Air Force, since that was their motto and advertising slogan for many years (and seems to be again, actually). They’ve crushed thousands of airplanes over the years. Some were related to treaty compliance, but most were just so nobody else would have them, least of all the taxpayers who footed the bill for them in the first place. I don’t know how that looks to people Down Under, but it seems absurd from where I sit. Perhaps even the USAF is afraid of liability hassles. What’s most ridiculous is that the system is built in such a way that there’s no waiver a person could sign which would obviate the liability issue. It’s like a bad penny that won’t go away. Reminds me of what happens with catering on chartered airplanes. We’ll pay thousands of dollars to cater a flight, and when that top-notch food is unused, it all goes in the trash even as hungry people exist right outside the airport fence. We could connect the dots, sure. But that would open high net worth individuals and entities to liability in the even of food poisoning or whatnot. So we throw it all away, and the hungry go to bed on an empty stomach. You’ve mentioned the catering thing before and it is a particularly damning analogy of the whole issue. You’d think there’d be a charity, at least, that could intercede, distribute the food, and bear the (ridiculous) legal liability as a far less attractive target. There are similar programs for restaurant food in several world cities. Meanwhile, our one available safeguard is liability insurance – which, to my mind, is just an expensive and compulsory lottery that only lawyers can win. Needless to say, the USAF issue is w-a-a-a-a-y complicated. There are often some pretty good reasons why no-one else should have their redundant hardware, and they seem to a good job of preserving at least one of everything at Dayton. But the other 99% appears to be ice cold cost-accounting: if the book value equals zero, then the actual value must be zero, right? From a windowless Pentagon office to a soda machine near you. And as for the Wright Brothers, part of me thinks they may have set the trend – although their legal focus was patent protection rather than liability. Still, it’s telling that Lt. Selfridge’s relatives never sued. And there have been countless other aviation disasters over the years where no-one considered legal action. It seems to be a latter day problem. Any modern lawyer reading up on the 1952 Farnborough Air Show disaster (https://en.wikipedia.org/wiki/1952_Farnborough_Airshow_DH.110_crash), for example, would likely drown in their own drool. Yet on the day the show went on and the people went home to their beds. For all that though, the Wright Brothers are the perfect, proverbial ‘lesson from the past’. While they spent almost six years working in secret and in the courts, aviation flowered in Europe to such an extent that the US took decades to catch up. There was not a single American design used in the Great War, and afterward the US still needed to manufacture British and French airplanes to patrol its own borders. Glenn Curtiss, and especially his Liberty engine, would be the single glowing exception. Not at all — I greatly enjoy the back-and-forth in the comment section. In fact, it’s one of the best and most valuable parts of the site. I’m always amazed at the folks who come out of the woodwork to add in their two cents. Apollo astronauts, higher-ups at the FAA, etc. Everyone who takes the time to comments has an interesting thought or experience to relate — I love it! You especially have a historic and informed perspective, so please don’t apologize! Some of my best writing ideas spring from the comment section. There seem to be quite a few canaries in the coal mine lately. From what I see, the best hope (and value — coincidence?) for GA comes from the E-AB and refurb segments. That’s one of the reason I found the Van’s lawsuit and the RV-8 soda can trick to be so disheartening. Here’s hoping they’re outliers and not a trend. I’d love to see the legal profession take a wider view of the effect they’re having on American society, but if history is any guide, they will look out for number one first and foremost. Too true. And if history IS any guide, the folks who love aviation will continue to aviate regardless of any and all obstacles. That’s how people got into the sky in the first place. When you allow those that profit from the law to be the makers of the law….you are guaranteed disaster. My daddy called that ‘letting the fox guard the hen house”. You are so correct. My wife and I have spent our lives working hard, saving our money, not taking vacations and now guess what. I have a Rotoway Helicopter I stopped building at the very last stage, probably two months from FAA inspection. And, I do not carry passengers in my private aircraft both because of liability. There are young people I would like to Introduce to aviation but I dare not. While I understand the reasoning Gus, I can’t help but wonder if a dispassionate analysis of the risk might lead you to a different decision. Unless there’s an accident there shouldn’t be any risk of a lawsuit, right? So the next logical question would be: what are the odds of your ending up in an accident? If you are a current, proficient pilot with a well-maintained aircraft flying in good weather, I’d think the risk is rather low. Avoiding passenger carriage after maintenance and during times of statistically higher risk should make the odds of an injury accident pretty small. We can never reduce risk to zero, but when it comes to weighing the decision of whether or not to fly passengers, it might also be worth considering the astounding impact an intro flight can have on a young person. I was once one of those young kids, and I can tell you it’s still something I remember vividly, even decades later. That’s what I hate to see the next generation lose access to. One of the top airline litigation attorneys is a really nice guy (not a blood-sucking vampire) but a pilot in the Philly area named Thomas Duffy. He has been successful enough as a litigator to afford a small Air Force of warbirds as diverse as the B-24, P-51 & Spitfire. Playing devil’s advocate, if your family member was killed or injured in a plane crash & there was evidence of a design or manufacturing flaw, would you rather not have the right to sue? I’ve heard that, in other countries, in order to sue, you must pay huge fees upfront. I believe in US courts, the attorney gets 1/3 of the settlement. An excellent question. Personally, I think my answer would depend heavily on the circumstances. I can’t say I’d never consider any legal action in the event of an accident. It doesn’t help that these decisions are clouded by grief of the part of the family, and by the prospect of monetary gain on the part of the attorney. If the pilot was drunk, the airplane had an AD which was not complied with, or maintenance was performed which reached the level of professional malfeasance, that would be one thing. But the case in question involved a non-professional builder/pilot who legally performed maintenance on his homebuilt airplane. There is nothing wrong with the Van’s design, and no way I can see that the kit and/or component supplier could reasonably be to blame. I don’t think anyone’s arguing that the right to sue should be eliminated, only that the wrong people are being targeted, and for the wrong reasons. If NTSB reports were admissible in court, it might go a long way toward ending this problem and confining these suits to the proper party(s). Where is his liability? To a passenger, to people or property on the ground? Whoever gave him this poor advise is completely wrong. Even if he is a professional with deep pockets and a lawyer sues him personally after exhausting insufficient coverage from an insurance policy it is no different than if he was driving a car and hit someone or caused property damage. He is always open, as we all are, to personal liability if our policy coverage is inadequate to cover catastrophic events. Just wrong. A sad allegory to what is happening to our once great nation. This is just one visible instance of what is otherwise happening silently every day I suspect. Soon we’ll be a country where it will be legal to get stoned any way you wish, but illegal/impractical to actually fly. If that’s not a symptom of a world turned upside down, I don’t know what is. I am planning to do the same thing with my Comp Air 7 Turbine. A chain saw will do the honor. I built it myself and flew it all over Alaska for 14 years so far. The liability is simply too high compared to the value of the airframe. I’ll part out anything I didn’t construct, but the rest is going to the landfill. I can understand why you’d see the equation that way, Kenny. If you don’t need to get your money out of the plane by selling it, why not just end the possibility of a future legal entanglement by cutting up the plane and sending it to the local dump? But what if you look at it from the perspective of what that airplane could do for the future of general aviation? The kids it could give a first flight to? Even if you never want it to fly again, you could donate it to a museum or an A&P training program for the students to turn wrenches on. Wouldn’t that be better than seeing it destroyed? Instead of destroying his RV-8 which he flew for 10-years, he could have stored it for 8 more years, then the federal statute of repose would free him from manufacturer’s liability since it would then be 18-years old. At that time there is no more maker’s liability. That’s a creative idea! And as the builder that might be true (assuming he didn’t modify the aircraft — that seems to reset the clock). But I’m not even sure there is any calendar time limit on the performance of maintenance, which is what seems to have caused this accident, at least according to the NTSB report. The liability is the manufacturer , and if he sells he still is the liable one . The challenge of the $35M lawsuit isn’t the facts of the accident. Doug Neibert bet his and his passengers (family) lifes on his (lack of knowledge) building and modifications. A fellow EAA chapter member, he usually was conscience. The fear here is the results of any lawsuit. The Liebeck vrs McDonalds coffee is a good example, often misquoted. The plantiff only wanted McDonalds to cover her medical costs, for the surguries and hospital stay. McDonalds coffee is way hot, (many complaints over the years) and their lawyers wouldn’t give an inch. The jury awarded one day worth of coffee profits to the victim…which was latter vastly reduced. There are plenty of ‘pilot mistake fatalities’ that the manufacturor still settles out of court just to avoid rolling these dice on the jury award. The fact that manufacturers (or, more likely, their insurance companies) will settle to avoid “rolling the dice” is exactly what attorneys bank on — if you’ll pardon the pun — when naming them in the lawsuit in the first place. Find a way to stop that, and half the problem is solved. The sad part is that even if the manufacturer knows they are not to blame and are willing to defend that assertion in court, the final decision is on whether to fight or settle is, as I understand it, usually made by the insurance company. I see this as penny wise but pound foolish, because it raises insurance rates to the point where it is cost prohibitive to manufacture anything. In the end, the decision strangles the manufacturer right out of business, which of course costs the insurance company a major client. Somehow the aviation community is going to tackle this problem of liability. The solution might be this: loser pays(all of the costs associated with the lawsuit). Then the legal profession(lawyer(s), law firms) will have to take a close look at the feasibility of the lawsuit since they could be faced with massive expenses if they lose. This will not deny any plaintiff of their rights but it should level the playing field. Considering that the typical business model is “settling out of court” rather than going to full trial, it’s currently a win-win for the plaintiff and lawyers, but could be costly to the lawyer(s) and firms if they lose the lawsuit and have to pay all the costs. The Canadian company Rotary Air Force Inc. went out of business after a suit on the RAF 2000 gyroplane. Here’s the link on that suit. If an aviation company goes out of business because of a lawsuit we should have a class action suit against the people who who brought the suit since they just deprived us of our aircraft support. Disgusting, sickening, scary, and outright wrong. This nation is rapidly going down a slippery slope because of our legal system, and primarily, the “ambulance chasers.” Main reason so many people are getting out of flying because of the cost of any kind of insurance. Then add in the cost of repair parts, (again because of the cost of litigation and insurance,) unless one has an almost impossibly deep pockets, flying is rapidly getting out of realistic sight. An interesting interchange. I live in South Africa where our legal system is Anglo-Roman-Dutch and dispensed with juries many years ago. We have a legal principle of “volenti non fit injuria” (if you willingly take the risk, you cannot claim from he/she who let you) which was recently tested by a claim for injury by a person injured in a paraglider accident where the pilot was not commercially rated but was not stopped from operating by our version of the FAA, but in the end the principle was upheld. Damages, where awarded, do not make overnight millionaires but are very much directly related to the loss and costs of litigation are awarded against the loser, so there is much less incentive to enter into litigation – and frivolous litigation is extremely rare. A lawyer myself, although a trade mark specialist rather than personal injury type, I have been regaled for years by jokes about US liability laws and I have to conclude that your system is terribly flawed in effect if not intent. Our 2000+ year old system is also not perfect, but it is not the nemesis of enterprise like yours. The South American legal principle sounds quite refreshing. We could definitely use some of that philosophy here in the U.S. You described our current situation perfectly: the nemesis of enterprise. It hasn’t always been this way. It’s only in the last few decades that the liability situation has gotten out of control. The “loser pays the legal fees” thing has been discussed in the U.S. quite a bit, and is an idea backed by many people. I like it myself. Our system is not beyond reform; we need only a few common-sense alterations, like allowing NTSB reports into evidence, making the loser pay, and putting some serious caps on personal injury claims. It saddens me that our system is the source of so many jokes… but it’s understandable. I am hopeful the pendulum will start to swing the other way. I believe I understand why NTSB reports are not admissible. Big money (like airline backers for instance) could silently flex muscles to corrupt the outcome of the report. Keeping NTSB reports inadmissible ensures even perceived corruption is not possible. We should be thankful the legislators that crafted the laws were wise enough to be avoid that death spiral. I’ve heard that argument made before. What I don’t understand is how big money would affect the outcome of these reports. Are you suggesting they would bribe the investigators? The NTSB is not a regulatory agency like the FAA. It has no authority or power to punish people or withdraw their certifications or penalize them in anyway that I’m aware of. From where I sit, that should keep them free from such an influence. The solution is simple: Loser pays. Ultimately 85% of well to do Americans are also stealthy in their wealth to not attract undue attention. GA is the last bastion of such a display of wealth, as assumed by the masses, and therefore ripe for all those blood sucking vultures to turn their attention to. I was bothered by this story so I took the time to read the actual court document and the NTSB report and I came to the conclusion that this lawsuit, like so many, is clearly “parasitic”, to borrow a word used by Sean Elliott of the EAA. The plaintiffs and their attorneys seem to look at this tragedy as an opportunity for personal monetary gain. Experimental aircraft are clearly labeled as such. These parents bear responsibility for allowing their child to fly in an aircraft that so clearly has not be subject to the FAA certification process. The same certification process that the lawsuit now holds so dear. If it was so important now, why wasn’t it so important then? Perhaps they feel they were misled by the pilot into thinking there was absolutely no risk involved. Perhaps that’s true, in which case, they should find the pilot liable. Especially so since the NTSB report points so directly at the pilot who installed the transducer and the pilot’s inability to execute an emergency power-off landing. But the pilot is dead and his estate doesn’t have the deep pockets that they think they see in Van’s and FloScan. Several years ago at Oshkosh Burt Rutan said that he has successfully defended every lawsuit brought against him and his companies. He’s never paid a cent in liability claims. I hope that Van has the same fortitude and integrity to fight this and not settle. Insurance companies like to settle because they act with the thought of their bottom line only; they do not act with integrity and conviction for what is right. This issue is very important for the EA-B community and I would be willing to contribute to a legal defense fund for Van’s if one exists. I just joined the site and am pleased that this is the correct forum for getting the word out, for being able to voice and stand up with our honest convictions. I believe that there are thousands of us to join this cause. Ron the RV-8 in the video was parted out…except for the Bell tailwheel fork which was worth a lot more than $16.90! 😢 I thought he should have donated it to NASA for their general aviation crash testing program at Langley Research Center. They “crashed” a 172 earlier this year. I agree it was sickening. Another great idea, Don. As much as it hurts to see an aircraft intentionally destroyed, at least donating it to the GA crash testing efforts at NASA would have yielded data to help make general aviation better. If nothing else, I think Van’s and the E-AB community would have been very interested in the results. There have been RV accidents, of course, but none on high-speed film that I’m aware of. I’ve seen the videos NASA released on the Skyhawk crash tests. It’s amazing how much punishment our airframes can take while still protecting the occupants inside. I noticed that playback is now disabled on 3rd party sites, but clicking on the video will take you to YouTube, where it can still be viewed. I read the lawsuit complaint document as well as the NTSB accident report. The plaintiffs don’t have a legal leg to stand on, in my non-lawyer’s assessment. They effectively blame the manufacturer of the kit plane (Vans) and the manufacturer of the fuel transducer system (FloScan) for the negligence and bad practices of the owner-builder, and incredibly it blames the entire US experimental aircraft regulatory scheme. Effectively, the plaintiff claims that the entire experimental aircraft kit industry is an attempt to skirt certified aircraft rules of the FAA. Good luck getting the FAA to testify to that! It’s pretty clear that the pilot/builder made several grievous negligent errors, including 1) using the wrong sealant on fuel system fittings which ended up clogging his fuel supply line to the transducer, despite the fact that his use of silicone sealer was observed and recommended against by knowledgeable mechanic friends and despite the fact that Vans recommended a different sealant in their aircraft build instructions, and 2) the pilot/builder lost control of his aircraft, such that it wasn’t the loss of engine power that caused the crash, but his own loss of control, despite the fact that the aircraft hit only 0.7 miles from the approach end of a runway. The pilot/builder lost his life, as did a four year old girl. The child’s mother sat next to her and survived the accident, and the NTSB noted that the mother placed her daughter in an automotive booster seat next to her despite the fact that the booster seat manufacturer specifically prohibited the use of the booster seat in aircraft. So, the negligence in this accident rests clearly with the pilot/builder and the mother, not Vans or the manufacturer of the transducer (FloScan). The plaintiffs blame FloScan for not specifying the proper sealant in the fuel system, but Flowscan only manufactures and sells the transducer, not the entire fuel system. And as noted before, Vans provided clear instructions to use an approved sealant such as FuelLube on any fuel system couplings. Now, whether the insurance companies force either or both of Vans or FloScan to settle, or whether the defendants retain capable defense attorneys, can affect the outcome of this litigation more than the facts of the case. If I was Vans I would vigorously defend the lawsuit because otherwise it opens itself to having the entire kit plane industry destroyed by this lawsuit. I would hope that EAA, other kit plane manufacturers, and the other parts suppliers for Vans file appropriate friend of the court briefs or even join directly in its defense. AOPA ought to do the same. This lawsuit cannot be allowed to cloud or threaten the very existence of experimental aviation. It’s clearly a parasitic lawsuit based on depth of pockets rather than actual liability. I agree with your assessment — especially the part about how EAA, AOPA, kit makers, and anyone else with a vested interest in GA should band together and fund a full, proper defense of the Van’s and FloScan. This is the camel’s nose poking under the E-AB tent, and if this is allowed to settle, it will be the first of a tidal wave of lawsuits after every Experimental-category aircraft accident. The part of GA which faces all the lawsuits — the certified sector — is the shrinking one. The side without the legal issues — the Homebuilt side — is alive and growing. That’s not a coincidence. Today I hopped out a 1979 C-182 Turbo RG (with deluxe cassette disk player) with three fuel drain sumps and into a 2006 Cessna 172SP with five drain sumps on each wing. Huh? Why. Is this liability too or some sort of advancement in technology. Its depressing to watch something worked countless hours working on, and thousands of dollars on, only to willfully destroy it. I agree that there might have been better options for this user, and although I watched the video, I don’t really understand the “why” behind the destruction. Sure, I can garner its “liability” but I guess I am not reading between the lines. All I know is that such things like spin certifications cost hundreds of thousands and apparently it has to with liability. The “why” is a fear of lawsuits. He is wealthy enough that he doesn’t want to risk any future legal entanglement in the event a future owner was to have an accident. His fear is rational insomuch as a person needn’t be the cause of an accident to be found liable for one. It’s a problem with our legal system, really. A guy could get fall-down drunk, go flying, crash the plane due to his own condition, and then sue the guy who owned the airplane 40 years earlier for performing deficient maintenance on the aircraft. The NTSB report would show pilot error as the cause — but those reports are not admissible in court, so the jury would never hear about it. See the problem? Ron – Is it really true that an NTSB accident report is inadmissable in court? On what basis do you make that statement? While the NTSB is subject to errors in analysis, just like any other group of humans, clearly they are the government established transportation accident authority, and have no particular special interest resting with any of the potential parties in a lawsuit over air safety. Was this the outcome in some particular lawsuit that you’re referring to? If so, I would expect that it has not been fully adjudicated and established as case law around the country. I don’t know if the law in question came about because of a particular lawsuit, but Federal law in 49 U.S.C. § 1154(b) states clearly that “no part” of the NTSB’s Final Accident Report may be admitted into evidence or “used” in civil litigation. Ron – thanks for the info … based on that, I did a little additional research online and found an American Bar Association analysis of expert testimony in aviation cases. Apparently, the purpose of the section of the NTSB law you cited was to prevent the NTSB in its role as “finder of fact” and its assertions of “probable cause” from replacing or supplanting the courts and juries roles in those areas. So the law proscribes use of the NTSB Final Accident Report in discovery and at trial. However, the NTSB also issues separate Factual Reports that are supposed to include only material facts uncovered in the investigations, and those reports are admissable in court as long as they do not stray from strictly documenting evidentiary information obtained in their investigations. So there is a limited ability to use the NTSB’s work effort in civil cases. In this particular case involving the Oregn accident, there is a wealth of factual information that a defense counsel can use as long as they don’t present the NTSB’s opinions, as contained in the Final Accident Report. And of course defense counsel can use the NTSB Final Accident Report as a road map in devising their defensive strategy using their own expert witnesses. I sold my RV6 about 12 years ago. I’m not worth enough that anyone would want to sue me but I did worry about liability issues. About 4 or 5 years after I sold my airplane I learned that it had been involved in a crash while landing at an airport in Idaho. The “wreckage” was sold and eventually ended up being owned by someone that restored it to flying condition. That relieved me of liability as he is now the “builder” of the airplane. Hello everyone. I am new to aviation, and am trying to get an ultralight to start out with, then LSA, etc. I am almost too scared of this, and other lawsuit-lottery possibilities, to really get into aviation. I have an aircraft design and an aircraft engine that I think could be a positive for the industry. Do I dare? With the risk of greed and dishonesty ready to wipe me out if the wrong judge/jury hear my case? I don’t have the answer, but I have some thoughts on some ideas…. LOSER PAYS – A great idea, unless a very poor family has a poor quality lawyer (an exception to the rule, obviously) Having access to legal proceedings for the wronged against the culpable rich is one benefit of the country we live in, as much as I hate to admit it. I like this idea, but can see problems with poor execution of the laws associated with it. LIMITS ON MONETARY CLAIMS – Pretty good, except when a huge corporation commits gross negligence and banks on the damages being less than the cost of fixing it. i.e. Ford Pinto. My wife works in a hospital and has commented how limits can sometimes fail to reflect the medical damage caused. I think it would work in most cases, though. I can go on, but minds greater than mine have already commented on these and other issues. Restricting this discussion to AVIATION concerns, would any of the following ideas have any wisdom? VIOLATION OF LAW MUST BE PROVED BEFORE GOING TO COURT – I think this could prevent lots of cases from proceeding. Was something done that violates a standard, a law, a code? If not, then maybe monetary limits could work here. If violations were not committed, and its a matter of opinion, than limit monetary damages. The Vans case would fail here. There could still be legal remedy for injured parties, but it would be very limited. TRIAL BOND/INSURANCE POLICIES MUST BE PURCHASED BY ATTORNEYS BEFORE TRIAL TO COVER THE OTHER SIDE’S LEGAL FEES – I don’t know all the ramifications here, but if a shady lawyer knew he had to pay out of pocket HIMSELF before going to trial, maybe less frivolous lawsuits would happen? This could also still leave the door open for real victims – if they really had a case that wasn’t frivolous, then a good, honest lawyer would still proceed. The one issue I can see with this plan is if a poverty stricken client wanted to sue a corporation for something really horrible, the corporation could say that it is going to hire hundreds of attorneys to work the case, and the insurance policy could become less than affordable. My last idea is this – I remember that a petition was signed with over 100,000 signatures to deport Justin Bieber. The awesome part about this is there are regulations that state that the President must address any issue with over 100,000 signatures. Why don’t we get over 100,000 signatures to have the industry protected? The aviation industry creates so much technology that benefits other industries, such as materials, electronics, weather, and communication devices. America will run out of pilots someday. Commercial pilots already are on food stamps as it is. The cost of entry to aviation is so high that very few dream of flying as a pilot anymore. The industry will soon be lost, and has already lost over 800,000 jobs in the last few years according to some article I saw a few months back. How much more can the industry take? I could be wrong, but it seems like we are being passed by many countries in Europe in the aviation industry. We can’t have a great aviation industry with only giants like Boeing, etc. Anyway, I could be way wrong. Something has to be done. The FAA certainly isn’t going to help. So many lawyer politicians are in power, so they are unlikely to spur the cause unless their voting public makes it a priority and a condition of popularity/reelection. Wouldn’t it be great if we could put together a march? Or a day where pilots across the country refuse to fly one day, and call in sick? Unlikely, but it would certainly cause a response! Your argument against the “Loser Pays” paradigm is non-sequitur. After all, a “poor” plaintiff is just as likely (if not more so) to have a poor quality lawyer under the current paradigm. If a case is sound, a “poor” person should not have any trouble at all finding competent representation to carry the case forward. In fact, if anything the current anything-goes environment actually encourages the existence of low quality lawyers who exist only as nuisance to defendants to make them pay just to go away. Under a “loser pays” paradigm, most low quality litigators would not be able to survive because they’d never win, or would be relegated to the “loser” cases that should never have been filed to begin with. I completely agree with you. I was trying to find the “exceptions to the rule” that a bleeding heart liberal guy might complain about. I know there isn’t a perfect solution, but there seems to be an awful lot of room for improvement! How many companies, and whole industries, would still be around today if it wasn’t for frivolous lawsuits? I saw a news piece the other day that 75% of patent lawsuits occur in one location because of the win percentage is so high! What a flawed system! Yes, we have it better than many other places. BUT with such a great country, with so many advantages, why is our system awash with so many problems? Any thoughts on how? With the loser pays system, what details do you think would be most important? The “bleeding heart liberal[s]” have been rallying against the “loser pays” concept since it was first suggested. Whatever arguments they put forth usually end up being wholly emotional in nature and with minimal logic. (I don’t consider “The poor will be unable to file frivolous lawsuits” a legitimate argument) And since the government is largely run by those with law degrees and members of the plaintiffs bar are amongst the most generous of campaign donors, I don’t think we’ll ever see it happen. Follow the money. At one point during the late ’80s, I heard it from good authority that roughly 50% of the sales price of a major general aviation manufacturer’s product went directly towards covering litigation costs. How many industries can thrive in that kind of environment? And how can their products be innovative, competitive and affordable? It’s indeed ironic that over the last 20 years, the better part of innovation in general aviation has been coming from Europe where because of taxation and regulation that makes ours look petty, flying is absurdly expensive and mostly limited to “the rich”. But what they do lack there is the threat of litigation like we have here. I have no problem with slapping companies that are incompetent or intentionally do evil. But the fact is that most general aviation accidents are pilot induced. It’s not just the aviation industry that suffers because of this. (Think “health care”) We all pay for it, and a lot. I really don’t know much about the legal system, and I hope I never have to, but counldn’t he just have whoever bought the RV 8 to sign a waiver. So that he would not be held liable in the event of an accident. Last year I had the wonderful chance to fly in a beautiful restored WWII warbird, the owner would not let me fly with him until I signed a waiver. That I would not hold him responsible for any, and all damages in the event of a crash. He had a witness sign it then he had it notarized. So would this work in selling a homebuilt plane, I don’t know what do you think. But think of all the people who didn’t sign the waiver. What if that plane were to subsequently be involved in an accident with a third party?